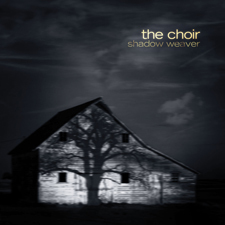 To celebrate The Choir’s campaign to fund a new album in 2017, the Wide Eyed Wonder Tour and re-mastered WEW album release on vinyl & double CD, they are giving away their entire album Shadow Weaver through NoiseTrade! 2015’s Shadow Weaver is the band’s latest studio album. The LP includes the brooding stand out track “What You Think I Am,” which rides a jagged guitar riff while addressing hero worship and the rush to judgment in the digital age. A powerful, hooky horn arrangement and a fluid, muscular bass line propels the song with a hypnotic groove. A companion “commentary” edition to Shadow Weaver is included in this download, with stories behind the songs and the making of the album. Unreleased live recordings and rare alternate versions are also part of this NoiseTrade exclusive, including “Rhythm of the Road” & “After All,” featuring a duet with Sixpence None The Richer’s Leigh Nash.